Authored by Charlie Jolly (charlie) on Jun 21 2018, 5:34 PM. "Love" token, awarded by monio. "Love" token, awarded by michaelknubben. "Love" token, awarded by wo262. 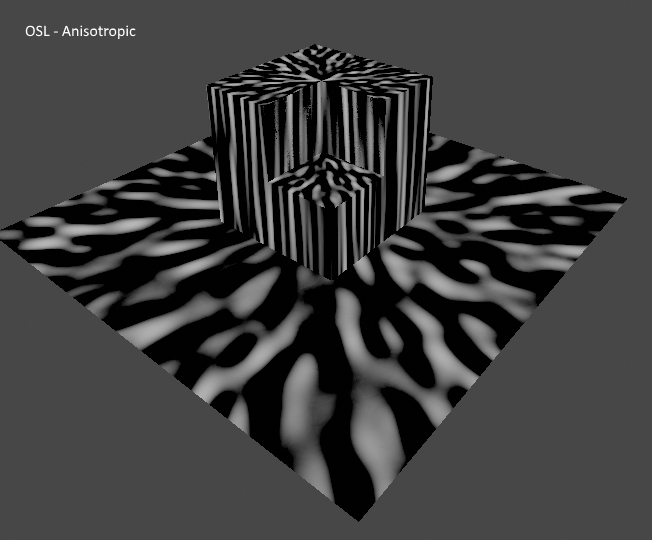 Texture Node for Gabor Noise Method Band-Limited Isotropic only. This is an implementation of Gabor noise, based on updating the original D287 patch from Jarope and using Musgrave node as reference. This patch is based on 2.8 branch. 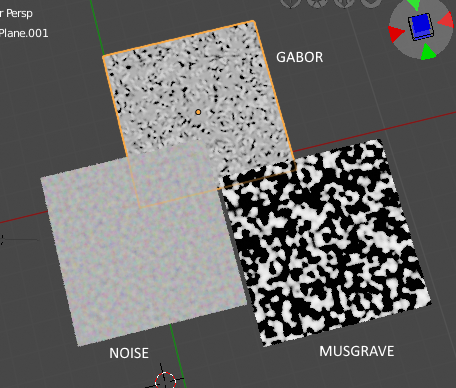 Top left corner textures (2x2) are musgrave, voronoi and noise for comparison. 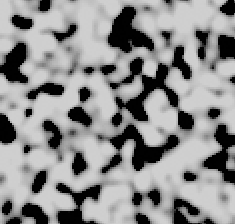 Seems there are a lot of various implementations of Gabor noise. From previous patch OSL version would need to be implemented. I'd assume this would also need a glsl version too. For the moment I'll wait for general feedback on whether adding Gabor would be acceptable before working on the todo items. Do you think it is important to expose frequency, bandwidth and truncate? If not, you could get rid of GaborParams, just store impulses, lambda and sqrt_lambda_inv in a float3 and hardcode the others. 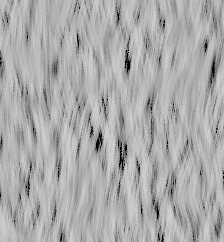 Is there any use case where the user would want to control the seed based on some texture etc.? If not, just making it (and maybe scale) fixed parameters instead of input sockets might be better (see e.g. the sample parameter in the recent AO node commit). What range does the impulse parameter typically have? If it's fairly large, some other poisson sampling method might be a better choice. Does quick_floor really make a noticeable difference? OSL would be needed, yes, GLSL would be great as well. Overall this seems very useful to have. It looks like this is based on the Gabor noise in OSL, if that's the case we need to change the license header in the file? For OSL we may be able to use the builtin Gabor noise and ensure SVM matches it exactly, we do the same for Perlin noise. In that case we have to accept some code duplication for the RNG. Note frequency, bandwidth and truncate are also hardcoded in OSL, so I guess we don't need to expose them. Why is this using noinline? Just using ccl_device may be ok to leave it up to the compiler, but explicitly telling it no to inline seems bad for performance with small functions like this. quick_floor will conflict with a function using the same name in svm_noise.h (on the GPU only because the CPU uses an SSE version). We should share the code instead. For these has and RNG functions we can use gabor_ prefixes to avoid possible naming conflicts. It is similar to the OSL version from what I can tell. 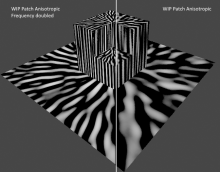 The original patch D287 doesn't directly reference OSL but it is similar in places. Exposing other variables provides more artist control which wouldn't be possible if we restrict the texture to the same as the OSL version. Here are some tests adjusting frequency and rotation. Impulses seem to be calculated differently compared to the OSL version. Code wise I've not changed much from the original patch so I can't comment too much on this. I've spent a little more time on this and I've made a few changes so that it matches the OSL version more accurately. 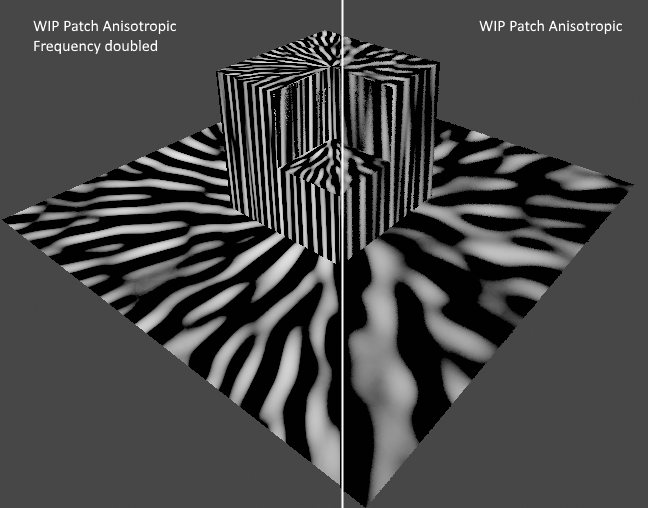 Below is a comparison of both OSL and the WIP patch and also an example of how exposing frequency would be useful. I also re-implemented the RNG to closely match the OSL version but this is currently not giving the same patterns for the same seed, I don't know if this is even possible. Note that the output is in the -1.0 to 1.0 range. 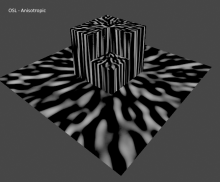 It seems quite similar to scaling the texture coordinates? It should be possible, I guess there is some subtle difference in the implementation still. This should be changed to 0..1, most Cycles texture nodes follow this convention. @Brecht Van Lommel (brecht) I'm going to try and revisit this. From working on the Voronoi node I think that it would be better to implement this separately to the built in OSL gabor noise. This way it is much easier to keep Cycles, OSL and Eevee in sync. Can I get your view on this? That seems reasonable, we don't have to use the OSL builtin one. 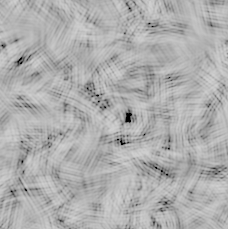 Tests: recurse into directories for finding OpenGL draw test .blends. Fix merge error, this should have been included from master.